If you’re looking for a used motorcycle for sale in Spokane, you’re in luck: we have 7 in stock. Quality-inspected and ready for Coeur D’Alene, ID trails, Arrotta's Automax & RV’s used motorcycle inventory will please any palate. Let us be your Harley-Davidson Spokane resource or your Chrysler motorcycle resource! Simply explore our inventory below, pick out your favorite, and contact our Spokane Valley, WA-area dealership today. If you are looking for a tough long lasting motorcycle, this 2016 FLHTK Electra Glide Ultra Limited 61470MC price is $17980 miles 31835 copy is a great option for you. The speed and passing capabilities of the vehicle will impress. Reduce your trips to the pump! It is one of the most fuel efficient vehicles in its class. The performance tuned suspension of this vehicle handles great on all turns. This unknown / other has quick acceleration. With these performance numbers you wont be disappointed when you take it for a test drive. Be the first off the line with the quickness of this model. This model has an elegant black exterior finish. Enjoy your driving more! This is one of the most exciting vehicles to drive in its class. The supply is limited! If you are serious about this 2016 FLHTK Electra Glide Ultra Limited 61470MC price is $17980 miles 31835 copy, we recommend you move fast. There is a whole host of features that make the 2015 Harley-Davidson Ultra Limited an appealing touring bike. The list starts with the Twin cooled High Output Twin Cam 103 engine Reflex Linked Brakes with Anti-Lock Braking System (ABS) and also the electronic cruise control. It also comes with removable luggage liners and heated hand grips as standard features a Tour-Pak luggage rack and air adjustable footboards Call 509-703-7797 or come in today and request a test drive. 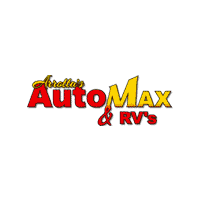 AutoCheck available for every vehicle here at Arrotta's Automax & RV just ask your salesman. The 2014 Harley-Davidson CVO Breakout motorcycle is a Softail model that combines the unrelenting power of the Twin Cam 110B engine with a level of custom detailing unmatched on a production motorcycle. Curbside the Breakout rests with a proud rake and dazzling finish. On the road the CVO Breakout is a chrome-plated fist punching the air with each twist of the throttle.The Softail chassis mimics the clean lines of a vintage hardtail frame but utilizes rear suspension control provided by coil-over shock absorbers mounted horizontally and out of sight within the frame rails. The rigid-mounted counter-balanced powertrain creates a solid connection between the rider and the power that moves the motorcycle enhancing the emotional experience of riding Call 509-703-7797 or come in today and request a test drive. AutoCheck available for every vehicle here at Arrotta's Automax & RV just ask your salesman. Why Choose Arrotta's Automax & RV for a Pre-Owned Motorcycle? Here at Arrotta's Automax & RV, we pride ourselves on offering a tremendous selection of used trucks, used SUVs – heck, even used RVs. But we offer more than an extensive inventory of used vehicles in Spokane: We offer exceptional deals on exceptional vehicles. Here, you can expect to find plenty of used Harley-Davidson motorcycles or used BMW motorcycles on the cheap. But beyond our massive inventory and our great prices, we’re proud to offer quality motorcycles. Do your research: You’ll find that the models in our used motorcycle inventory satisfy even the fiercest critics at Kelley Blue Book or NADA. Let Arrotta's Automax & RV Be Your Spokane Motorcycle Outlet! If you’re ready to buy your next motorcycle in Spokane, simply: value your trade-in; calculate your estimated monthly loan payments; and contact us online. Voila! Getting your next bike is that easy.